You've probably figured out that I love any reason to celebrate. Coming up this week is Cinco De Mayo! Erik and I celebrate every year by decorating the house, eating Cafe Rio and watching a movie. 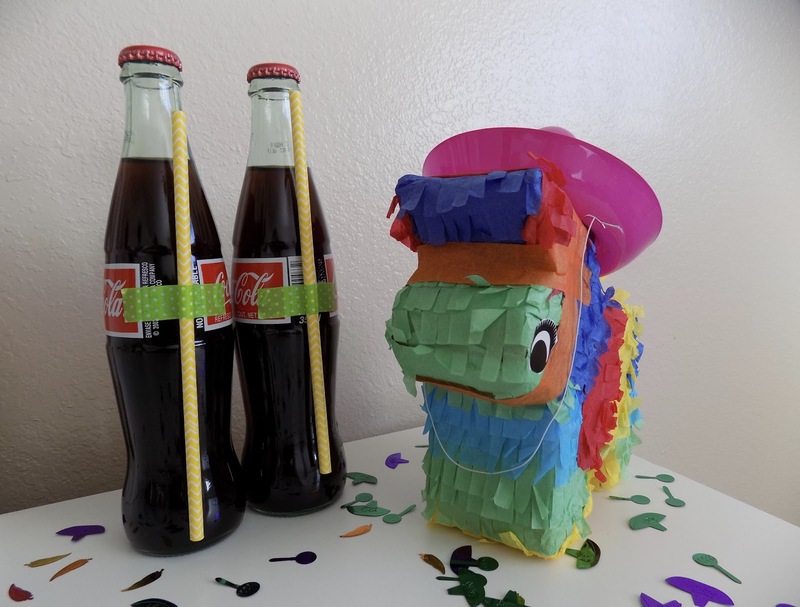 I saw this cute little piñata at Target and thought it would be such a cute gift to give to help someone else have their own little fiesta! I filled up the mini piñata with candy and some mustaches because it is not Cinco De Mayo unless you are sporting a 'stache! 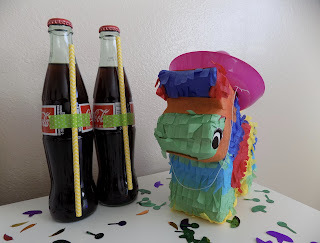 I used some washi tape to attach the straws to the Mexican Coke. My mom likes to tell me that it is not politically correct to call the bottled coke this but I swear that that is how it is labeled at the store! For a last minute touch I topped my piñata with a mini sombrero. I thought it was a cute finishing touch and it also adds another thing to wear if they so desire. It think this would be such a cute gift to leave on someone's doorstep or to use as a centerpiece for any of your fiesta needs!